Hello ladies and gentlemen, and welcome to a new Monday edition of Me Talking and before I start today’s topic, I have some rather important news. On Friday, October 24 this blog has made its first extension. I added a new author, by the name of France Mcnair. Now, I know what you all are probably thinking right now, “Rodolfo who the hell is this guy?” and you have the right to think that way if you want. The reason I chose France was because I saw his writing talent and I have to say, I was impressed. If anyone is actually interested in writing for this blog, feel free to contact me via E-MAIL so that we can keep in touch and hopefully, you can be talking soon! Anyway, I was watching YouTube videos yesterday. I have to say, I love the damn program. I mean you get to binge watch on just about anything that pops into your mind with the click of a mouse, or a tap of the phone. One thing that I noticed along with all these other educational channels on YouTube were the amount of what I call “Empty Channels”. Now, I consider myself to be more of a film kind of man, but there are actually people out there on the internet, getting paid to do idiotic things. For example, a friend of mine showed tried to show me this channel called extreme Olympics or something like that. Now these guys have subscribers, people who actually tune in every time to watch these men hurt themselves intentionally. I don’t call that “entertainment” ladies and gentlemen, I call that stupidity. At least watching film can be interpreted or playing a video game can create a bonding experience, but what can one get out of watching such graphic videos? I’m not forcing anyone to stop watching these videos, I am just stating my opinion on such topics. I mean, the same could be said about this blog, but I write because I want to really. The people who perform such acts wouldn't be doing that stuff if people didn't tune in to watch them. I feel like I’m getting too opinionated with these posts. I always get like this on Mondays specifically. I don’t know why. I wonder why Monday was made the scapegoat for all hate people can have towards a day of the week. Was there ever a point where everyone just got together and said “this is going to be the worst day of the week”? I mean, I had a damn good day today, but this day seemed like a rather large outlier compared to the amount of bad Mondays in my life. Maybe its school. Maybe it’s people. 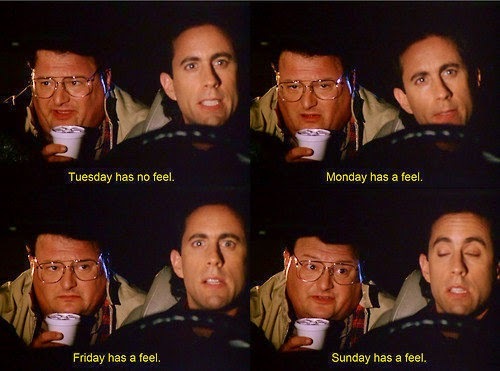 I don’t know, but it doesn't make sense that people hate a certain day of the week that’s all. Thursday, for me, has a specific feeling to it, so does Friday. But I assure you guys I have never had a specific feeling for Tuesday. I feel like I’m rambling, am I rambling? It might have been all the writing I did today. Oh well, I suppose I’ll talk about my personal life due to the e-mails I received. Today, everything seemed to run well for me. I was able to get some more work done. I had a rather fine day. I wish I could tell you all I feel, but it is difficult to express. I will be taking a day off tomorrow and I will give France a shot and I hope you guys will as well. With that being said, sorry for the rambling, I promise I will keep it more on topic next time. My info is down below, I’m hungry so I’m going to go eat an overpriced meal and enjoy it. Thank you guys for reading and have a good night!